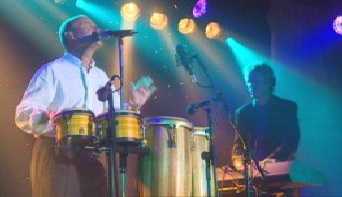 Welcome, I have been captivated by the music of Genesis since 1976. 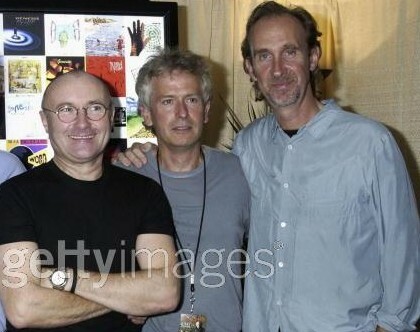 Their music is heard at its best when performed live and I have now seen GENESIS 72 times all over the world. 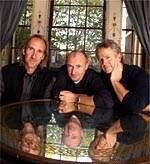 The focus on this web site is about Genesis music (and related artists) live. Many other web sites have excellent discography and history pages so I will not try to recreate their efforts here. 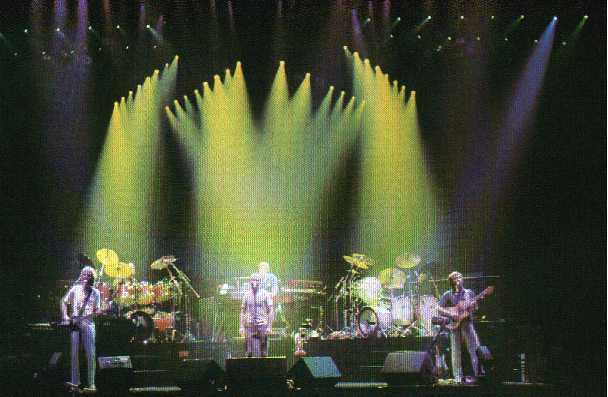 Click on the photo's below to see GENESIS in 1973, 1984 and 1997. 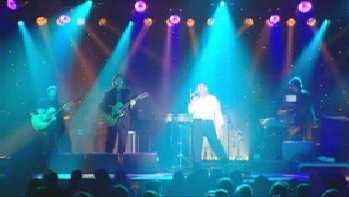 Reviews - Brief reviews of Genesis related shows that I have seen over the past few years. My Genesis Gig List - Complete listing of all Genesis related concerts that I have seen, including a copy of all 72 Genesis concert tickets. Links - Genesis and related web site links. 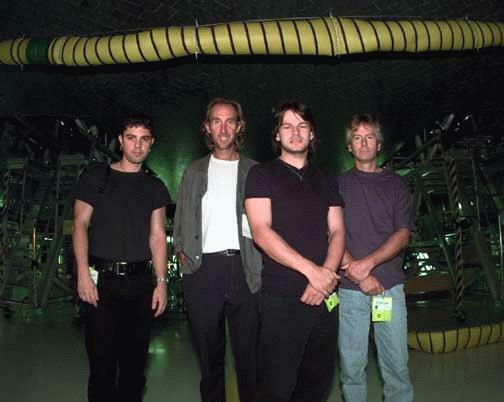 Mike, Tony and Phil have been rehearsing in a studio in NYC during October. 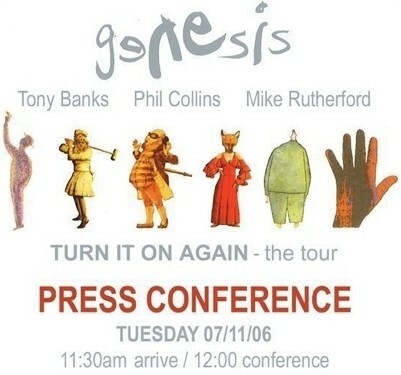 On Nov 7th a Press Conference will be held in London to announce the TURN IT ON AGAIN - the tour 2007. 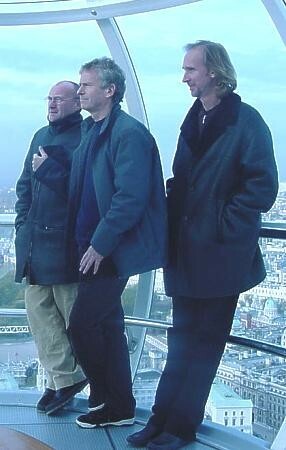 Nov 2001 saw Mike, Tony and Phil doing a promo reunion for the new "The Way We Walk DVD" released 26th Nov 2001 by Gut Vision (available on the Official Genesis Site). 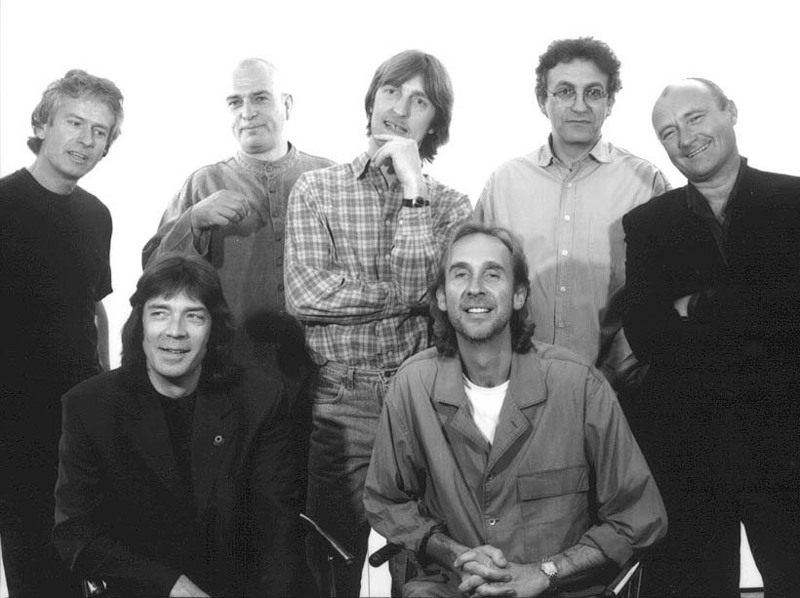 GENESIS reunited at a private ceremony in London, to honour Tony Smith, on 21st Sept 2000. 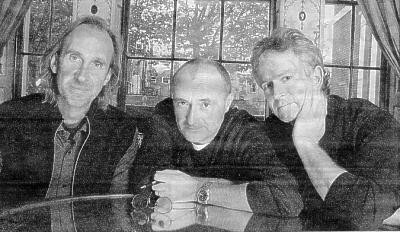 Genesis were Phil, Mike and Tony w/ Daryl and set list was: Invisible Touch / Follow You / I Can't Dance // Turn It On Again. 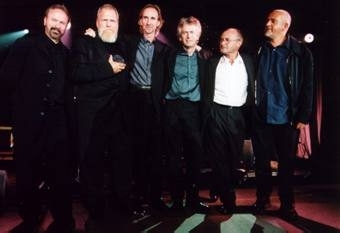 Peter Gabriel joined the band for a photo at the end of the show (Click all photo's to enlarge). 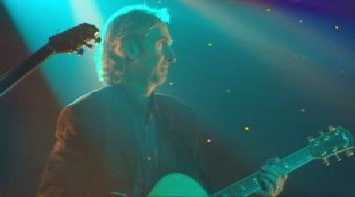 A cool video of 'I Can't Dance' can be found at the Genesis Official Web Site. When asked about a "public" reunion Tony said: "There is no doubt that if we got together, even for those who liked us, it would be a major disappointment. Most revivals are. And that's one good reason for avoiding them. But, if you just do something retrospective and you play old songs or as Phil says you get together and do something that is not trying to be the group, then that is very different I think." A reunion (of sorts) of early period Genesis members took place at London Heathrow airport on 11th May 98 to help promote the box set. The reunion of past members featured Banks / Rutherford / Collins / Hackett / Gabriel with Ant Phillips and John Silver. Click on the photo's below to enlarge. Click here for other Reunion Pictures. 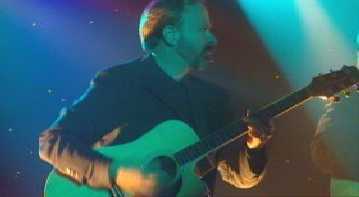 This page has been visited times since March 98.